Tagline: When the snow melts, get ready for global swarming! 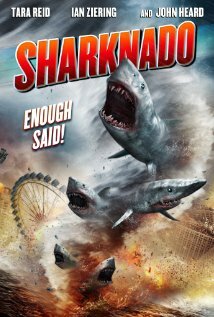 Plot summary: In the not too distant future, a climate change researcher tries to warn people of the dangers of global warming. 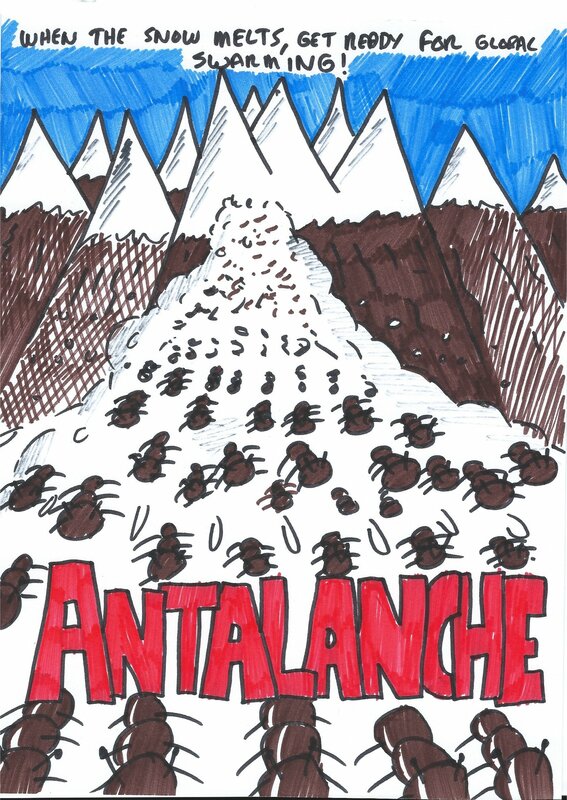 He discovers that under the ice in a remote mountain range, there lies a species of giant killer ants, frozen for millions of years. One day, with temperatures hotter than ever, the ice in the mountains melts, and the ants defrost, swarming over the planet with disastrous consequences. Tagline: A venom-y attack from outer space! 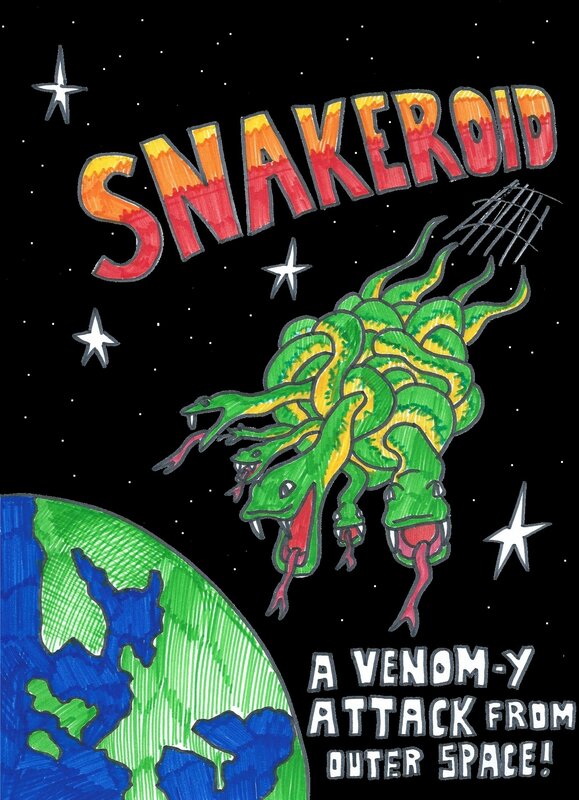 Plot summary: In the not too distant future, an astronomer identifies an asteroid made entirely of snakes, set on a collision course with Earth. He tries to warn everyone with no success, and when the asteroid eventually strikes, giant killer alien snakes are sent to every corner of the planet with disastrous consequences. 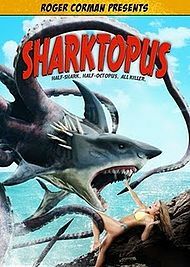 Plot summary: In the not too distant future, a marine biologist is researching some bizarre underwater seismic readings near a popular beach resort. 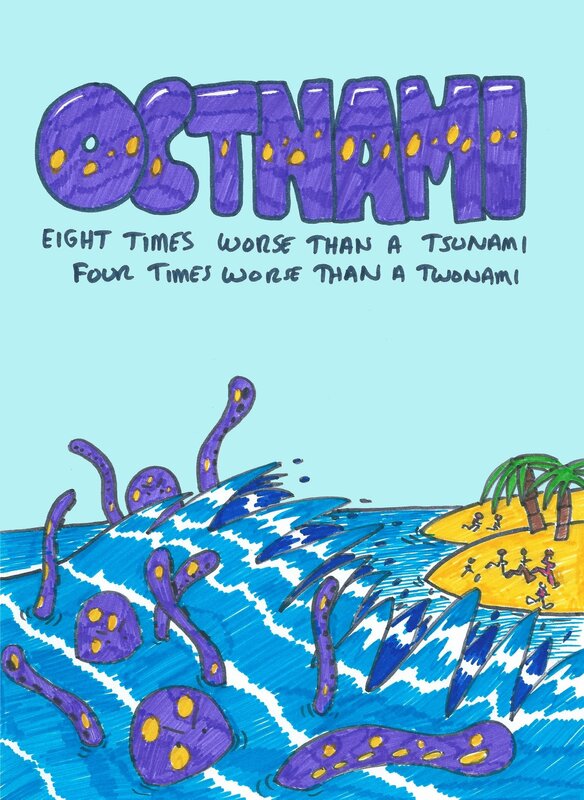 He discovers that a tsunami is immanent, but what’s worse, the tsunami will carry a species of deadly giant octopi to shore! He tries to warn everybody but is ignored, and when the giant waves crash onto land, the octopi are swept ashore with disastrous consequences. 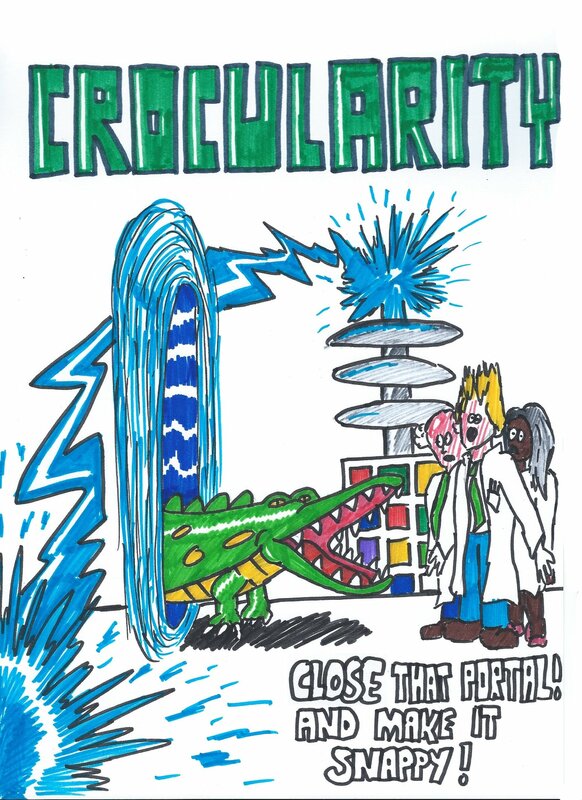 Tagline: Close that portal, and make it snappy! Plot summary: In the not too distant future, a quantum physicist is trying to create a singularity that will open a portal to another world. When he eventually succeeds however, he inadvertently creates a gateway between our world, and a planet infested with Crocodiles. With disastrous consequences. Tagline: Dino-sawing up from the centre of the Earth! 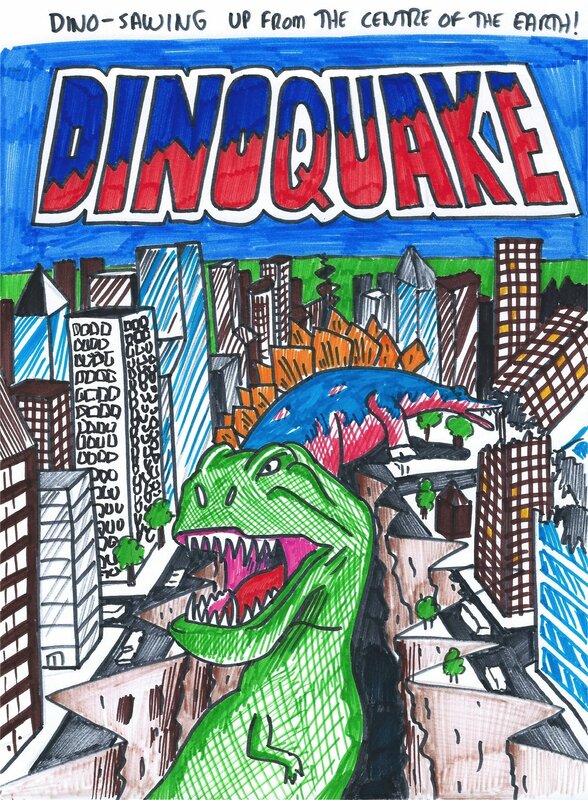 Plot summary: In the not too distant future, dinosaurs come out of an earthquake. With disastrous consequences. So there you go. Those are my top five films ideas that combine a creature with a natural disaster. Other honourable mentions for ones I couldn’t be bothered to draw include Scorpcano (scorpions coming out of a volcano), Stingrayn (Stingrays falling like rain from the sky), Zombears (zombie bears) and Taranogater (a cross between a tarantula and an alligator). This entry was posted on September 9, 2013 by Pete. It was filed under Blog .